In just a few days, our very own Aris Cuevas will be one of the riders to represent the Philippines as part of Team South East Asia for the 2018 BMW GS Trophy in Mongolia. Cuevas joins Mohd Apis from Malaysia and Ouy Thawongpeay of Thailand as they go head to head with the world’s best adventure riders. To get him prepared, BMW Motorrad Philippines and select members of the media took him and the BMW R1200 GS to the mountains of Magallanes, Cavite for a shakedown. 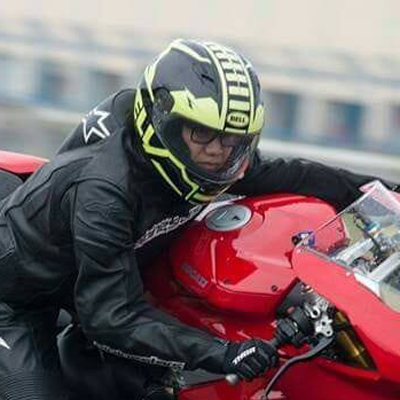 It is very seldom that we get to see a Filipino in the International arena particularly in the world of motorcycles. A few months ago, a couple of dozen hopefuls battled it out for the chance to be part of the once-in-a-lifetime opportunity to compete in the coveted International BMW GS Trophy. Aris Cuevas, an engineer between Monday to Friday and an adventure rider during the weekends, triumphed over these hopefuls and he will be the first Filipino ever to represent us in GS Trophy’s history. Our playground in the sleepy town of Magallanes, Cavite is approximately 80 kilometers away from Manila and is bordered by the town of Nasugbu, Batangas further south. During the rainy season, the back roads of Magallanes to Nasugbu are very hard to traverse, even for those riding dirt bikes because of the saturated soil and ruts. During the summer, the soil is graded so that trucks can haul sugar cane (the primary livelihood of the locals). It is a paradise for big adventure bikes. The terrain and character of the Magallanes Trails are the perfect training ground for Aris. Loose soil, ruts, some mud and winding uphill and downhill sections make it a good practice venue to test his expertise in adventure riding. The gang was composed of the champ, Aris Cuevas riding his BMW R1200 GS Adventure (GSA), Norbert Dizon, who is also riding his GSA, Bobby Unson riding his brand spanking new GS 1200 Rallye, Vic Ochoa on his KTM 1090 Adventure R, Cheggy Medina and Mon Astillero on their Royal Enfield Himalayans, Mike Continting on his BMW F800 and me on a BMW R1200 GS with a full tank of gas, courtesy of our friends from BMW Motorrad Philippines. Our journey started with a warm up through the old irrigation canal road that cuts through Imus and General Trias, Cavite, then a highway ride from Naic until reaching our destination in Magallanes. I was starting to enjoy the GS at this point as it really felt at home tackling the uneven old irrigation dirt road. We had a quick detour near Mabacao Falls in Maragondon for some quick photo ops. Upon arriving in Magallanes, Kuya Bebs Apil, a veteran trail rider along with his son JR and the rest of the Tatay Tomas Trail Team were already waiting for us. We headed straight for business as we trekked the fire roads of Magallanes. Thankfully, there was no rain, just sunshine all the way. We rolled, we fell, and brushed off the dirt, laughed it off and got back up. These are the things that make adventure riding fun. The best part is we were treated to a nice Tinolang Neytib na Manok at Tatay Tomas’s humble home, situated on top of a hill along the still-under-construction Magallanes-Nasugbu highway. “Masarap (It was enjoyable). We experienced loose soil, which is very good preparation for Mongolia. We are expecting mostly loose soil talaga or gravel, so maganda, may mga downhill, uphill at masarap dahil walang aksidente sa grupo. Dami nating lahat, naka big (adventure) bike lahat wala naman naging problema. So, kailangan pa natin ng marami pang ganito para preparation for Mongolia. (We are expecting this kind of terrain — loose soil and gravel with uphill and downhill — and it was nice that there were no accidents, in spite of being all on big bikes. We need more of this to prepare for Mongolia. ),” said Aris Cuevas after the great experience. “We're planning to go to the lahar area for its ultra-loose sand. What's important is how you control the bike in these kinds of terrain: loose soil and loose sand. We need more exposure on those kinds of terrain, so that when we get to Mongolia, we already have the skills for their kind of terrain,” Cuevas added when asked if there will be other sites that he and his team are planning to train in preparation for the GS Trophy Mongolia. “Sobrang ganda! Dapat ulit-ulitin natin. Also, nakakatulong tayo sa local community doon eh, marami tayo natutulungan doon lalo na yung mga tao na hindi naman lagi nakakababa ng bayan, so tayo ang umaakyat doon para magkaroon sila ng kabuhayan. Pinakamasarap na tinola na natikman ko!” (It was so beautiful! We should do this more often. Also, we are helping the local community there, we were able to help a lot of people there especially those who do not frequent going down the mountain and to the town, we are the ones who go up so that we can help them with their livelihood. It is the best chicken tinola I’ve ever tasted! )” Cuevas concluded. From us here at MotoPinas, we bid you Godspeed, Aris Cuevas! Bring home the bacon!